The Homecroft H.E.A.T. 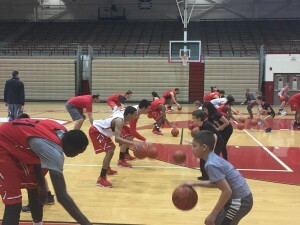 Club visited the Southport basketball practice on Monday. 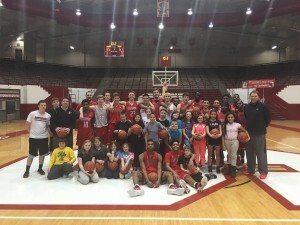 The Southport players worked on dribbling and shooting drills with their visitors. The HEAT Club, led by Mr. Dunn, focuses on making healthy eating choices and being active. 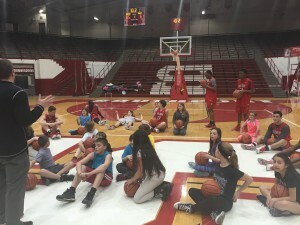 The Southport basketball team displayed how making those positive healthy choices can lead to success in the gym by putting on an exciting dunking display at the end of practice. Go Cards!